Between Labor Day and Thanksgiving, owners of second homes perform the annual ritual of closing up their un-winterized rural cottages, beach retreats and mountain cabins. 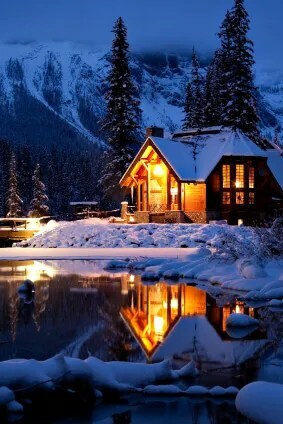 If you plan on vacating a seasonal property for any extended period of time, there are a few basic things you can do to help safeguard your house through the cold months ahead. -Check the foundation, siding and trim for cracks and crevices that could admit moisture or provide an entry point for unwelcome creatures. -Examine where the roof overhang meets the house. Pests as teeny as wasps and as large as squirrels often seek to nest in the solar-warmed space of house attics. -Clear the gutters so that rain and snowmelt run freely away from the base of the house, and using a ladder or binoculars, inspect the roof for raised shingles, making repairs if necessary. -Store outdoor furniture. Place tables, chairs, hammocks, delicate garden ornamentation, and other outdoor accessories in a garage, shed or storage unit. -Trim back any tree branches near the house that could cause damage in a strong storm. -Shut off electricity at the main. Leave on circuits that control such essentials as the alarm system. Also be sure to unplug appliances, especially the large and expensive ones, just in case lightning strikes. -Gas can be turned off at the main, but for many, it’s easier to call the utility and temporarily suspend service. -Drain all water pipes. Accomplish this by turning off the main water supply, opening all faucets and leaving them open. Remember to drain the supply hoses to indoor outlets like the dishwasher and outdoor outlets like the sprinkler system. -Prevent water in a toilet’s trap from evaporating (and thereby permitting sewer gases to enter the home) by raising the toilet’s lid and seat and covering the bowl with saran wrap. -Clean out closets and cabinets, leaving them open to ventilate. -Clean out the refrigerator and freezer. Don’t keep anything that is likely to go bad during the time you are away. -Remove and store all bedding in plastic (throw in moth balls if you have them) and for protection against burrowing mice, cover all mattresses. -Store non-perishable food in metal containers and relocate cans to the basement if possible, or take them back to your primary residence. -Cancel your mail service. Ask a neighbour to watch out for any special deliveries that might arrive on your doorstep while you’re away. -Lock your house at all entry points and close the shutters. -Have someone make regular check-ins. Leave your caretaker with a key for emergency entry if something should go wrong. -Make it look like someone is home. Buy a couple of light timers and set them up to turn on automatically in the evenings. Do not leave valuables in a vacation home that may attract thieves. At the very least, move them out of the line of sight from windows.